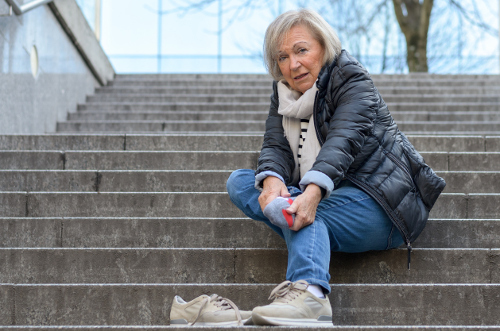 You may have simply been walking down a flight of stairs or over an uneven surface and suddenly felt your ankle rolling over. This can happen when your leg twists during physical activity, or with the application of pressure to the ankle without any twisting of the body. Either way, you may suffer from an eversion ankle sprain if the ankle turns outwards. There may be swelling, severe pain, and even an abnormal shape after the injury as part of your eversion ankle sprain symptoms. As with every ailment and injury, prevention is key. We will look at eversion ankle sprain treatment and ways to nurse the injuries at home. What Are Eversion Ankle Sprain Symptoms? The eversion ankle sprain symptoms will vary depending on the severity of the sprain, which is graded based on the damage. Known as a Grade I sprain, it affects only a few of the ligament fibers with a slight tearing. Pain is the noted symptom as it presents when moving the foot inwards or outwards and with the slightest touch. Easy mobility is possible as the ankle remains stable. This involves damaging the ligaments to a more severe effect. It presents extreme pain at rest and progresses upon movement of foot such as with walking. Swelling will also accompany this stage, referred to as Grade II. As the most severe stage, this sees the ligaments in a state of complete rupture. There can be swelling, joint dislocation, noticeable deformity, and difficulty walking as the ankle is unstable. This is Grade III stage. It is a rare incident, but an eversion ankle sprain can create a world of pain and inconvenience when it happens. The other type of sprain is called inversion, and has the foot twist up as the ankle rolls in. An inversion sprain is quite common. As the more uncommon ankle sprain, the eversion form sees the ankle roll outwards and in doing so, tears the deltoid ligaments. Also known as a medial ankle sprain, the eversion sprain is more infrequent because the deltoid ligaments are meant to prevent such an action. The fibula bone will only allow the ankle to move to within a limited area. By overextending this region, the end of the fibula bone and other adjoining bones can become fractured. Another reason why an eversion sprain is rare is due to the inner ligaments being stronger than the outer ligaments; therefore, the inversion ankle sprain happens more frequently. An eversion ankle sprain can be caused by simply wearing the wrong size shoes or your lack of stability in shoes. This can include walking in high heels that you may not be accustomed to. It is important to wear the correct type of shoe, in accordance with the physical activity you are doing such as running or football. The type of activities you engage in can also cause the sprain as with jumping, sprinting, or kicking. It is also possible to have this type of sprain by walking on an uneven surface, such as when stepping off a curb or hiking over rocks. Any unusual direction of movement can place undue stress on the ligaments. Treatment for eversion ankle sprain will require medical assistance in the form of rehabilitation to strengthen the ankle. Therapy can begin within two weeks after the swelling is addressed. One of the better exercises for the joint involves placing a towel around the foot. Grab each end while pushing through by the toes. You can also flex the foot if the pain is too severe with the towel use. A resistance band may offer better support with less pain. It is important to apply a cold compress or ice on the injury immediately following the incident. Do not place ice directly on skin. Repeat every hour for a 10- to 15-minute treatment for the first 24 to 48 hours. For compression, use a compression bandage or ankle tape to prevent movement of the affected joint. This will also help to reduce swelling as does the elevation. Follow the RICE remedy until all bleeding stops. Once the pain subsides to a point where minimal movement is possible, perform mobility exercises. Increase strength improvement exercises as pain management allows. An eversion ankle sprain may be a rare occurrence, but when it happens, there are specific exercises to help with the extended rehabilitation period. This type of ankle sprain can have long-lasting effects, depending on the severity. It can happen in an instant, but it takes unique movement of and trauma to the outer deltoid ligaments. The best way to treat any sprain is to follow the RICE method. Eversion ankle sprains require more treatment in the form of mobility exercises to strengthen the ankle joint to prevent further damage. “Eversion Ankle Sprain,” UPMC Sports Medicine; http://www.upmc.com/services/sports-medicine/conditions/Pages/ankle-sprain.aspx, last accessed June 16, 2017. “Eversion Ankle Sprain,” The Sports Injury Clinic; http://www.sportsinjuryclinic.net/sport-injuries/ankle-achilles-shin-pain/eversion-ankle-sprain, last accessed June 16, 2017.